Why is the water polluted? 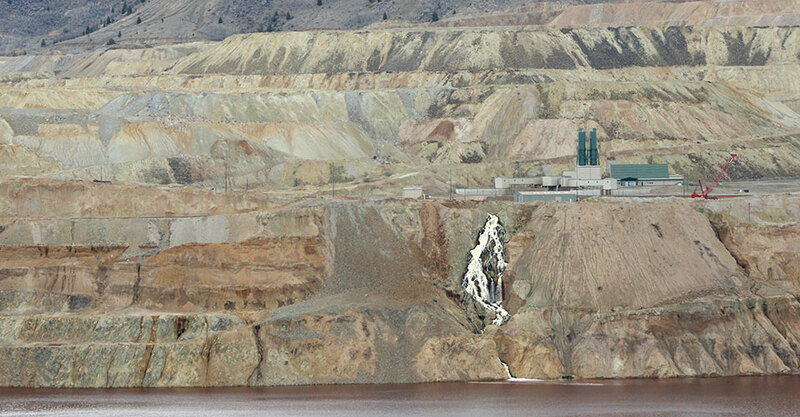 The water in the Berkeley Pit is a good example of acid mine drainage, which is mainly caused by the high sulfur content in the rock in the Butte Hill. The sulfur reacts with air and water to become sulfuric acid. As this acidic water (pH around 2.5) flows through the underground mine workings and rock fractures, it eats away at the metals in the rocks and dissolves them into the water, leading to high concentrations of potentially toxic material.